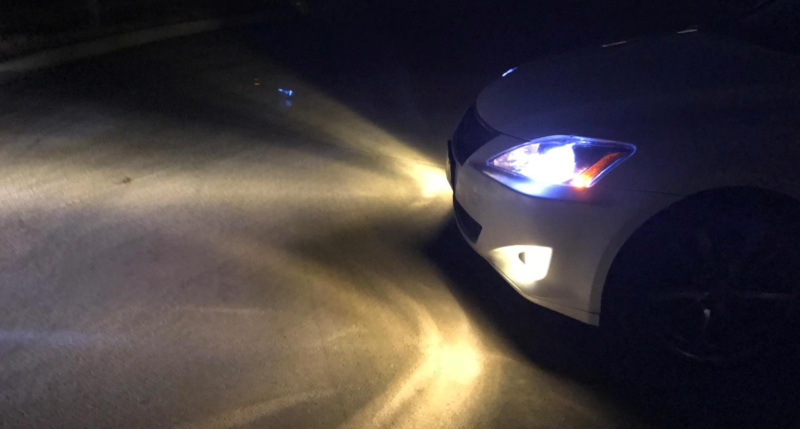 HID headlights may no longer garner as much respect as they once did, but they’re still a very effective lighting system, and one of the brightest headlight options you can get installed on a new vehicle direct from the manufacturer. 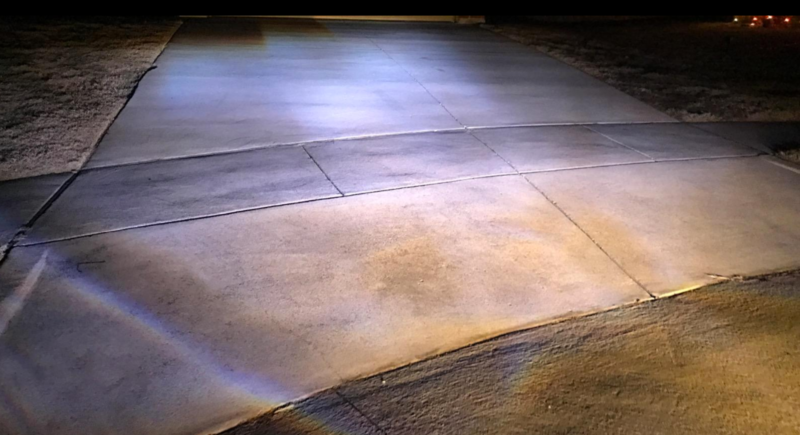 In this article we discuss the four best HID headlights you can buy. High intensity discharge (HID) headlights, also known as xenon lights grew in popularity during the late 90s thanks to their unique style and color as well as their increased brightness. In the last decade we’ve seen a major increase in the availability of aftermarket HID headlight kits, and only a slight decrease since the introduction of LEDs. HID light bulbs are often sold as part of a kit, intended to convert existing halogen based light bulb enclosures so that they are then able to install HIDs. 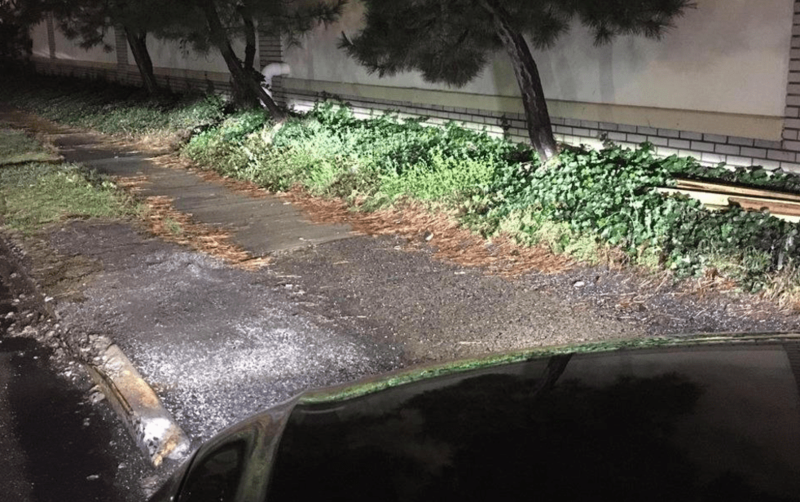 This article is focused on just the light bulb itself, intended as a replacement to an existing HID installation, so no comment will be made with regards to ballasts or ease of installation. Furthermore, looking just at light bulbs lets us extend our review to the OEM manufacturers as well. Companies like Philips and Osram-Sylvania manufacturer HID light bulbs for cars, but don’t offer conversion kits of any form. 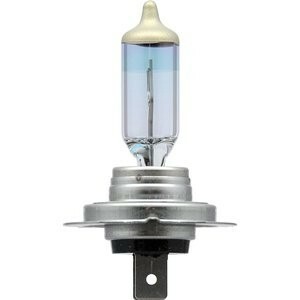 When we look at replacement HID bulbs, there’s not a lot to consider. The main things we’re concerned about are how bright the light bulbs are (although this is also a factor of the car’s internal ballast), how long the bulbs last, and what they cost. Because of the many influences relating to brightness, often manufacturers intentionally don’t comment on it, as such we’ve provided what information we can when available. What better place to start than with the best? Philips are one of the biggest manufacturers of light bulbs, not only for the automotive world, but other areas as well. Philips are an Original Equipment Manufacturer (OEM) for the automotive industry, and one in two cars in Europe are equipped with a Philips light bulb. 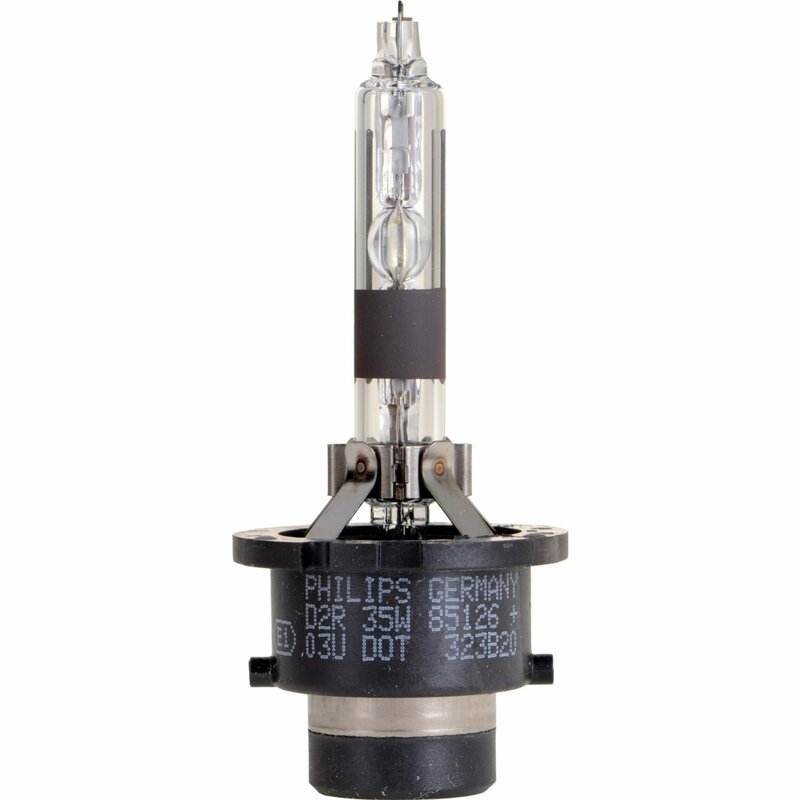 Philips only offer one model in the HID light bulb category, the Standard Xenon HID we’re looking at here. As such we know that this is the same bulb that you’ll find installed on new cars around the world, and it also comes certified as DOT compliant. Philips headlights are designed to give the best quality and performance while ensuring a bright, long-lasting light. Philips make the claim that xenon lighting helps drivers concentrate on the road, thanks to the white light they emit which is comparable to daylight. The Philips Standard Xenon HID headlight is made of a quartz glass which is able to resist thermal shock in case of water touching the bulb, even though the glass reaches temperatures of up to 800°C. 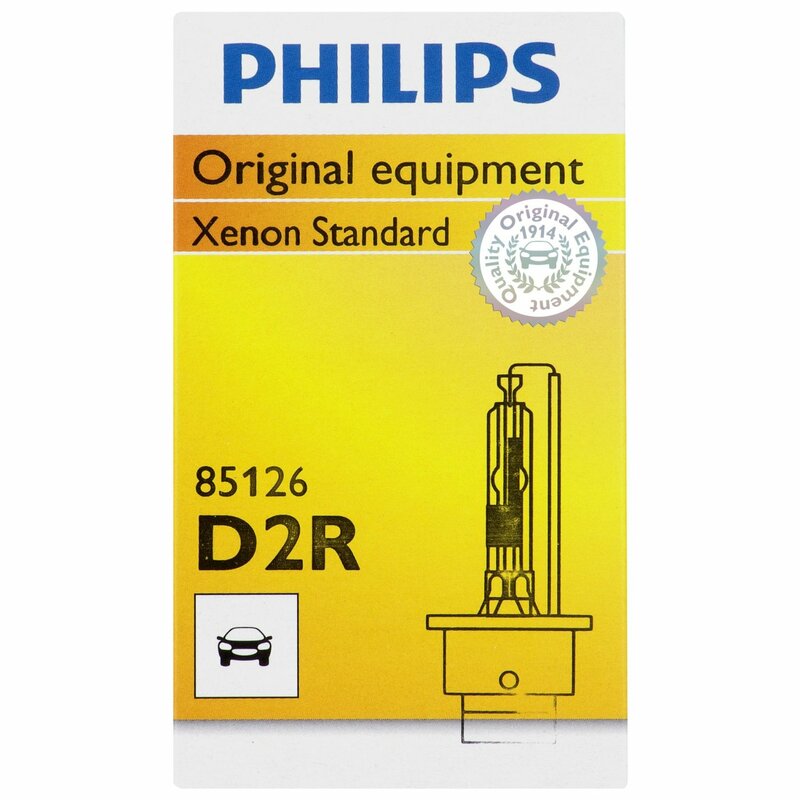 The Philips Standard Xenon HID bulb deserves it’s first place position in today’s review if for no other reason than the thousands of extremely satisfied customers. Almost 80% of customers give it a 5-star rating, resulting in an extremely impressive 4.5-star average rating. People’s biggest praise for the light bulb is how durable they are. One customer regales us with updates since he bought the light bulb. It covered for than 70,000 miles over 5 years before requiring a replacement. Customers are also happy to purchase a trusted OEM product, often taking out their original light bulbs to find out that they are the exact matching light bulb. It’s not all sunshine and roses though. While the vast majority of reviews are positive, 7% of reviewers rated it a 1-star, claiming premature failure and having received non-authentic light bulbs. While there’s little to support those statements, one must take note and realize that a return may be required. Just sliding into second place is Sylvania, with their standard High Intensity Discharge Bulb. 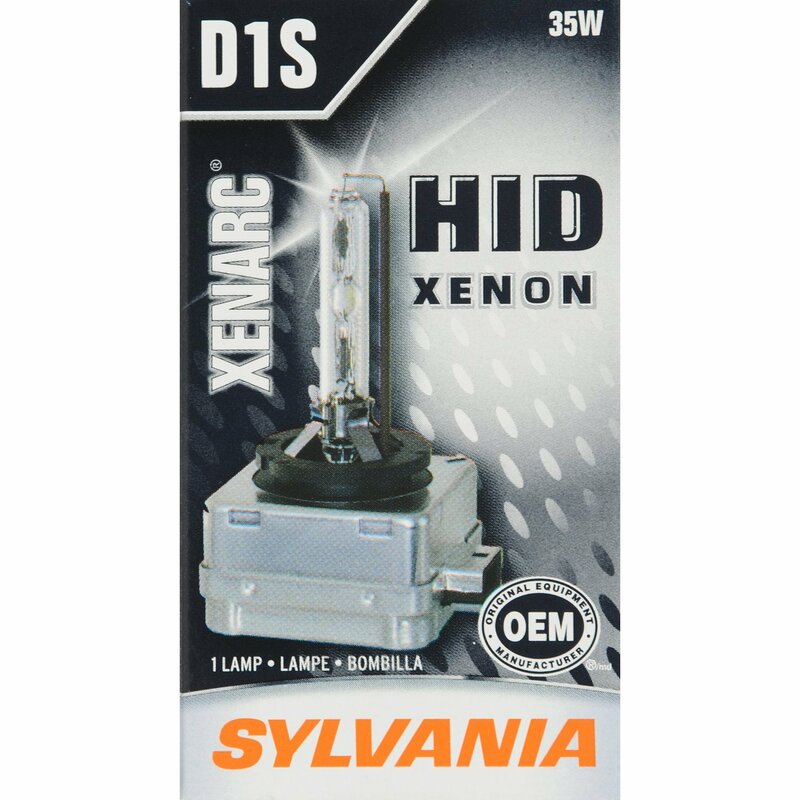 In a similar fashion to Philips, Sylvania offer just one product in this category, and also being an OEM, you’ll find this is the same bulb that is installed on new cars. 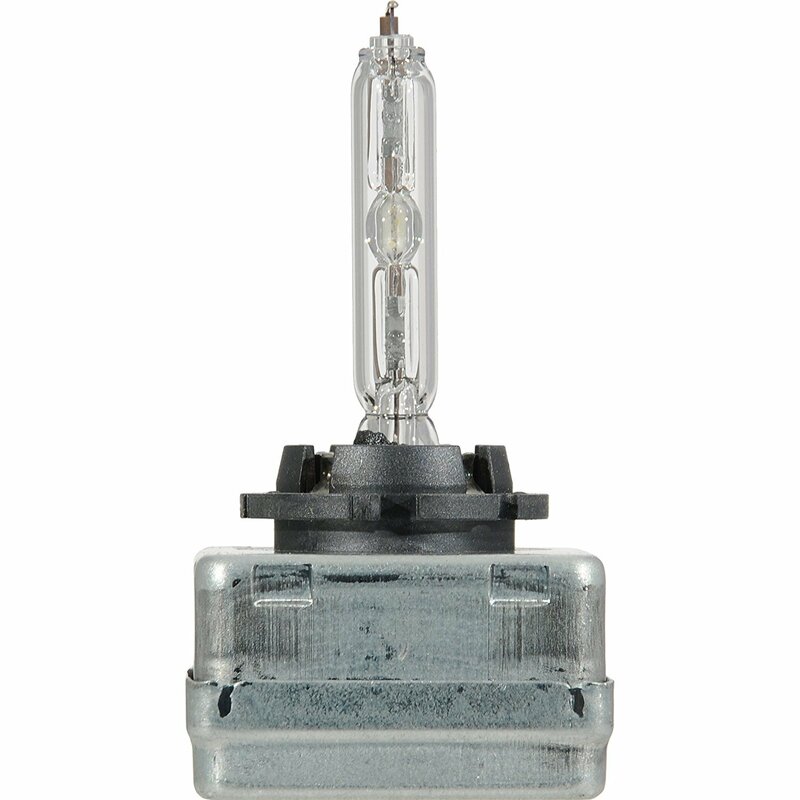 Sylvania is the American branch of the international brand Osram, and as such gets a lot of points in the reliability department, with Sylvania claiming the bulb will last up to three times longer than a conventional halogen bulb (their own included). This is thanks to their precision in manufacturing and quality for consistent performance. Oddly enough, Osram do market a range of HID light bulbs. These products offer a combination of benefits, including brighter light, higher temperature colors and extended life. But Sylvania choose to only sell the rebadged Xenarc Original in the US. Oddly enough customers report that the Sylvania bulbs they purchased show the same marking and ‘made in Germany’ stamps as the Osram bulbs, so one would expect them to sell the rest of the range as well. Regardless, Sylvania don’t have much more to say about their light bulb. Letting it stand on its brand name alone. This isn’t necessarily a bad thing, this is their standard product, and you know exactly what you’re buying and what to expect when you purchase it. In general people are happy that the product matches their existing light bulbs, and are satisfied by the brightness and lifespan offered by the product. One thing to keep in mind is that when installing these light bulbs and first turning them on, the light they cast may appear much yellower than the bulbs you’re replacing. This seems to be part of a warming in period the bulbs have. After 10-20 hours of use, the expected white color will return. But even with that taken into consideration, quite a few of the 1-star ratings the bulbs received relate to customers who found that the bulbs never met their expectations with regards to color and brightness, even after using them for several months. There are also some complaints of receiving bulbs in a damaged state. With only 6% of reviewers opting to give the Sylvania a 1-star rating, this is still a very good product, and don’t let that minority of purchasers put you off. This product offers the reliable and bright performance that has come to be expected with HID light bulbs. 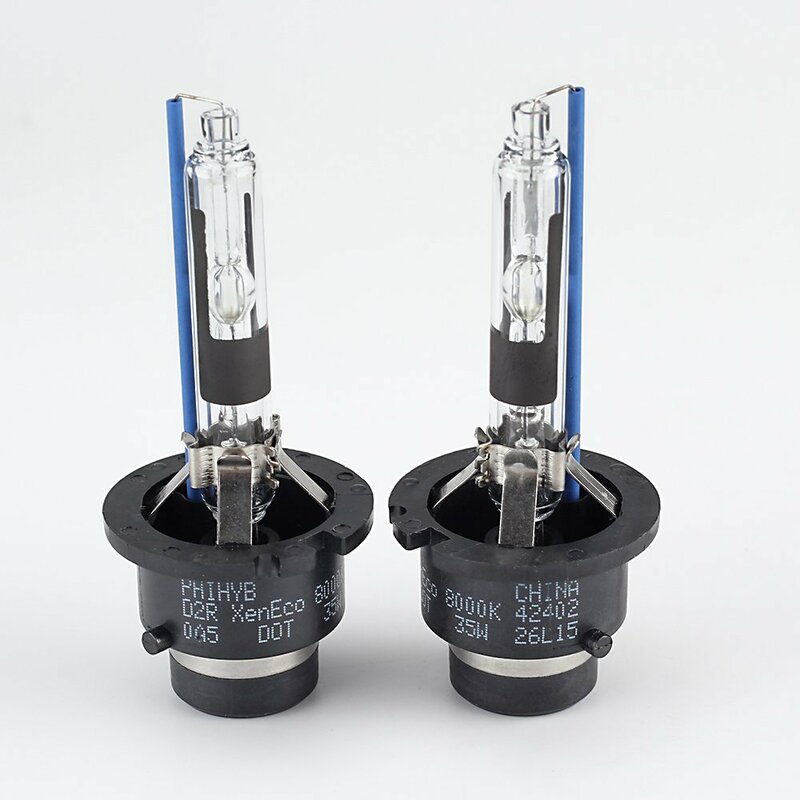 Kensun have been selling HID products for almost ten years now, and have developed quite a good reputation in the aftermarket scene. Their biggest market is in conversion kits, allowing cars that came with halogen light bulbs to be able to install HID light bulbs instead, and have recently been expanding that market to LEDs. As such it makes sense for them to make use of their expertise and manufacturing experience to sell to conventional customers who just want to replace their HID light bulbs. In line with this, Kensun offer both standard 4,300K light bulbs, as well as a full arrange of other colors, from yellow through to blue and beyond. Besides producing a full spectrum of color options, Kensun’s offering also differs from the OEMs in that they sell these products in packs of two. Not only that, but they charge for two light bulbs what the OEM charges for one. Kensun still make the same claims as the OEMs though, with a brighter light, longer life and lower power consumption. Along with that comes their promise of excellent quality, and customer care. Why would you not choose Kensun. In total the Kensun HID replacement bulbs managed a 4.2-star rating from customers, this is slightly down from the OEM products we just discussed, but not by a lot. The biggest difference noted between these bulbs and the OEMs is not the nature of the reviews, but the percentage of positive vs negative reviews. When you look at 5-star ratings, they all offer the same lines about how great the bulbs are with regards to brightness, and how low priced they are compared to getting the shop to do it. At the same time, negative reviews report the bulbs failing early in life, sometimes within several months. But the Kensun product gets double the 1-star ratings (14%) to what the OEMs received, although still maintaining a 73% 5-star rating. If you’re looking for a cheap set of light bulbs that will most likely work well, the Kensun offering is that. Several customers have even complimented Kensun on replacing their bulbs after they failed prematurely, so you won’t be at a complete loss purchasing these. Little is known about HYB beyond the few of their products that are sold on the Amazon store. The brand does not have its own website, and search results reveal little information. In addition to this the bulbs have only been on sale since June last year, but have still managed to sell and score themselves a 4.2-star customer rating. So what can we discuss. 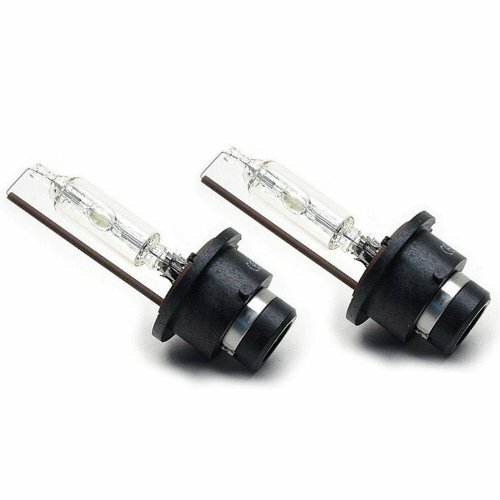 These are HID replacement bulbs, designed to take the place of your originally installed HIDs. They’re advertised as being suitably bright and are offered in four different colors, including an OEM matching 4,300K. Similar promises are made for extended life and energy saving. While some customers were very skeptical of the low-price tag offered for two light bulbs, they’ve generally been impressed. Light bulbs fit as expected and shine brightly to match already installed bulbs. Unfortunately, because these bulbs have only been on sale for a few months, there’s very little evidence to support their longevity. Some customers have already complained about the lights going out after only a few months of use. It’s hard to get a good feeling for these bulbs. They definitely do seem to offer competition to the equally low-priced Kensun, but we’d probably stick with a better-known product than these HYBs. HID light bulbs last far longer than standard halogen light bulbs, and several years of use can generally be expected from a set. You don’t have to wait till they burn out completely though. You may notice after using the same set for a year or two that they’ve dimmed from when they were new. Due to the nature of an HID light bulb’s design this is going to happen. Consider replacing the light bulbs once every two years, or earlier depending on usage patterns. Also remember that manufacturers all recommend that light bulbs be replaced in pairs to ensure that both bulbs are emitting similar amounts of light. We rated the Philips Standard Xenon light bulb top for good reason. It’s a bright, long lasting bulb that matches factory installed light bulbs to provide reliable lighting. 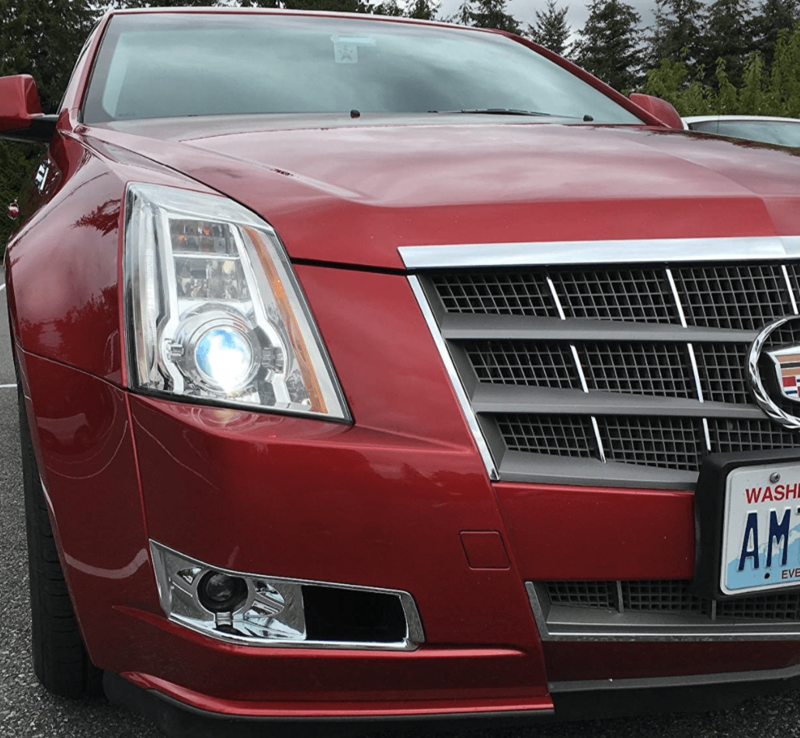 Reliability and brightness are two of the most important factors to consider when picking a headlight bulb. Price is obviously also a concern for many, at which stage the Kensun can be substituted, but ultimately a longer life is expected of the Philips product. 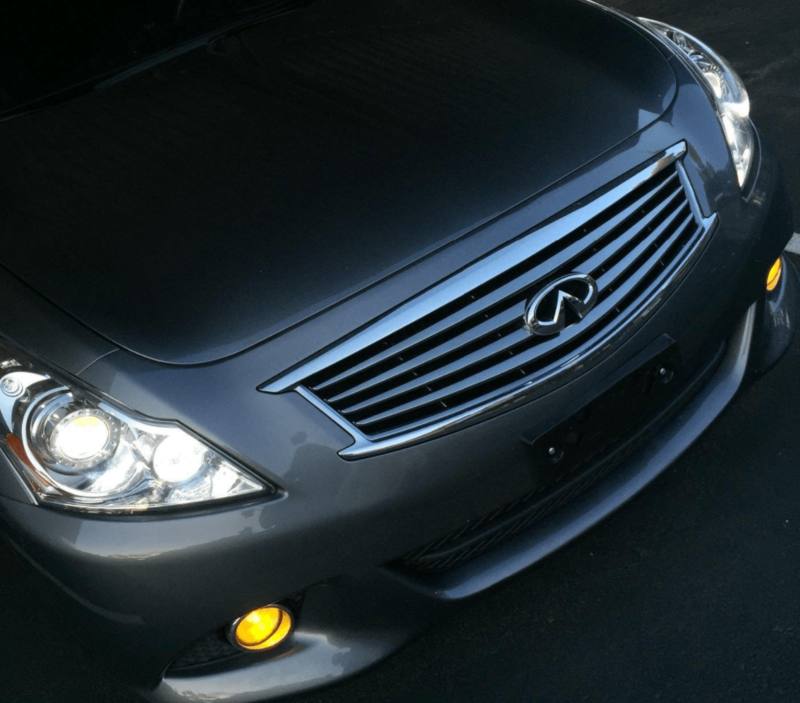 » What are HID Headlights?